All MDB file independent of size and quantity can be easily recovered using Access to Excel Converter. Option to save Access file as Excel per database or Excel per table. 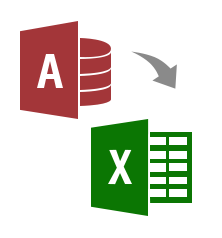 This allows users to move all MDB database to new files. The Software also requires MS Access and MS Office installation to perform above procedure. The scanning process of this software automatically detect all MDB files and convert them to XLS Format. This software allows a user to save MDB file with two available options i.e. Excel per database and Excel per table. These two options provide facility to save all data within Access to Excel Sheets. Apart from Saving option this tool also provides quick scan feature that helps in detecting all access data files and export them to excel sheets. 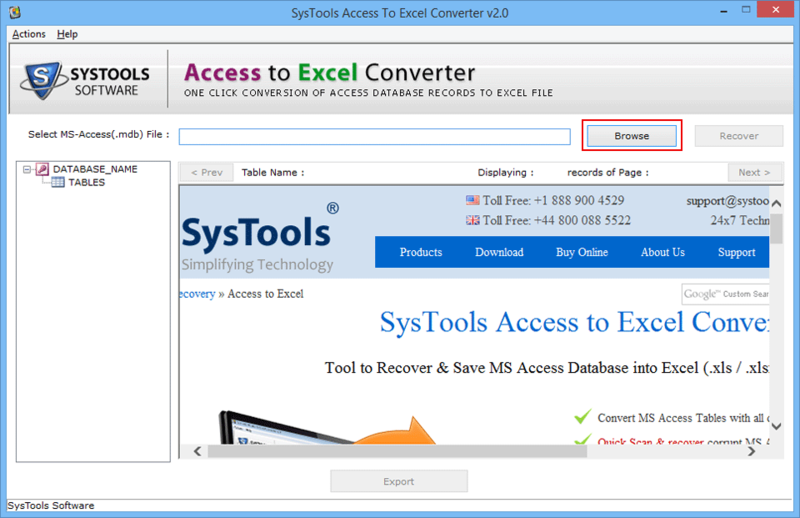 What are basic requirements to run access to excel Converter? The Access to Excel Converter required 1 GHz Processor, 512 MB RAM. Does this Tool work with all version of Windows, MS Access, and MS Office? 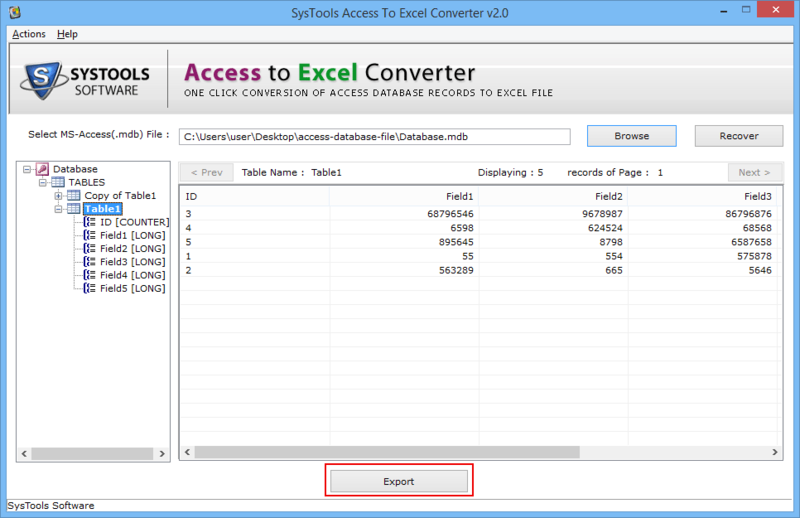 What is maximum size of MDB File that can be uploaded on Access to Excel Converter ? There is no file size limitation for Access to Excel Converter. The user can upload the file of any size and convert them.